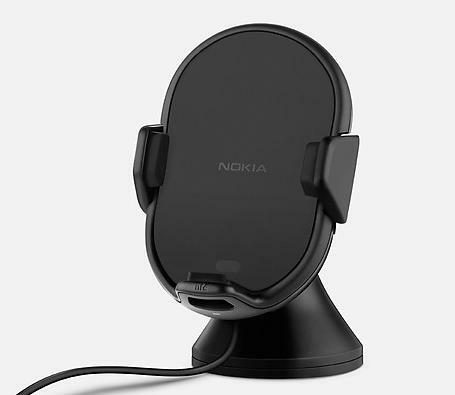 This week we’re having a look at a set of new Nokia devices, one of the most instantly appealing being the universal NFC Wireless Car Charger. This device is made to work with the Lumia lineup of Nokia devices first and foremost, of course, working with Qi standard wireless charging as well as embedded NFC to tell your device it’s docked. 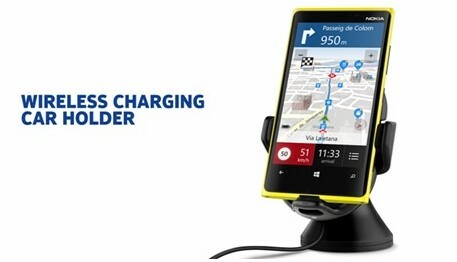 When you do dock a device like the wireless charging-shell CC-3068-toting Lumia 720, you’ve got wireless charging, NFC-activated car mode, and a fully secure clamped-in setup. This lovely beast also has several features that allow you to use it with whatever smartphone you like. At the bottom of this holder you’ll notice a little space, this being open so that your smartphone’s microUSB can be accessed for a more traditional charging experience. Of course your device will need to have a centered microUSB port for this to happen, but still – that’s rather nice of them to think of this, yes? Charging power comes from a lighter plug that’s also got an extra USB port on its back – from there you’ll be able to output power galore once more. This device is made for the Lumia lineup and will be sold with Nokia device in mind, and you’ll want to head to the store to test it out before you assume it’ll work perfectly with your wireless charging-capable device. If you only want it for NFC and the port at the bottom for ease in holding whilst charging, you’re in luck! Unfortunately there are not details regarding pricing or a release date as of yet – you’ll just have to wait!